The Intergovernmental Panel on Climate Change (IPCC),working within the UN Framework on Climate Change, is the most widely accepted authoritative body reporting on climate-change science and politically possible responses by governments. The IPCC names humanity as the prime agent of rapid climate change, because of our use of fossil fuels, which has been constantly increasing since the industrial revolution. The panel has published four major reports, in 1990, 1995, 2001 and 2007, and specific reports on issues such as carbon capture and storage. The IPCC regularly gives three summaries,which look at the physical science, at impacts, adaptation and vulnerability, and at mitigation. Its conclusions carry ever-increasing levels of certainty, in many cases up to 95 per cent, which is the highest that science can give. By definition, the scientific method can never offer 100 per cent certainty, which can be confusing for many commentators and readers and lead to false ideas about the need for ‘balance’ in reporting. Pursuing balance does not mean giving equal space to both authoritative bodies and fringe speculation. This false need for ‘balance’ in reporting has often hidden both the degree of certainty that exists about climate change and the urgency required in addressing it. 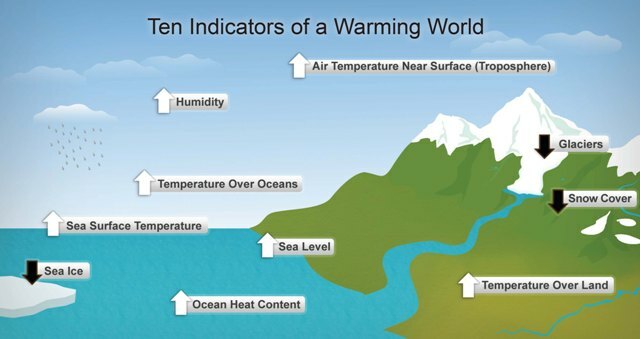 The IPCC reports are but the latest in a series of authoritative reviews on climate change published since the 1960s. The next IPCC Report is due for publication in September 2013. Recent climate change debate takes place within wider frames of reference, including the 1992 Earth Summit in Rio de Janeiro, the Kyoto Protocol 1996 and a new round of IPCC negotiations scheduled for 2012. It is important to note, moreover, that in ratifying the Rio agreement in 1992 all signatories, committed themselves not to environmentally harm other nations. All governments are aware of the facts and likely outcomes of climate change on the world, its peoples and biosphere; and they recognise the urgent need to respond in substantial ways. Unfortuntely the international political consensus to actualy address this need does not exist due to national economic and political self- interest.